Your clients will see a neutral, basic user interface with the outcome measure that you have assigned them. 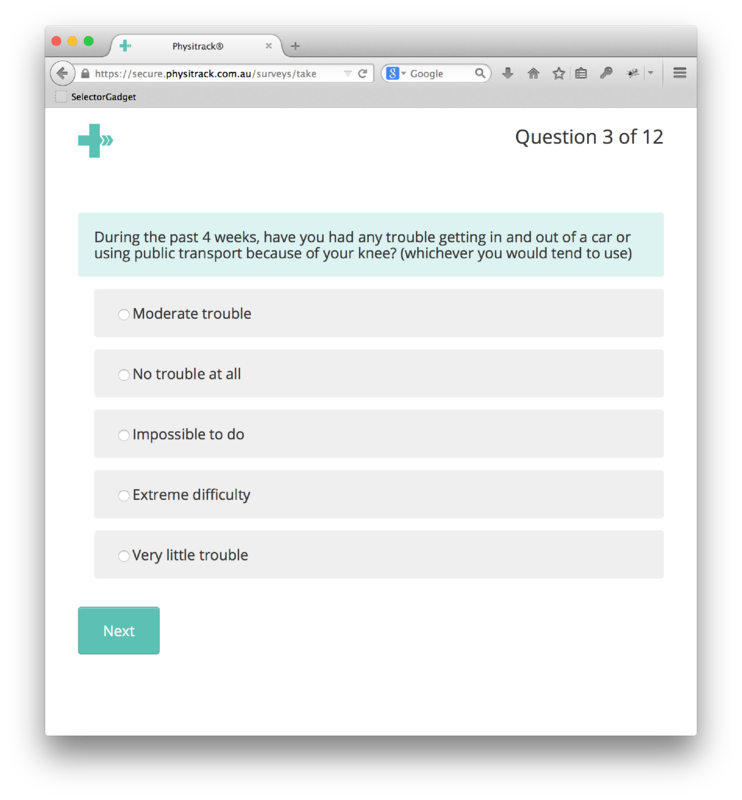 Your client will answer the outcome measure all from within the PhysiApp client app or on their computer. You receive a real-time insight into the outcome measure results via your clients file in your Physitrack account.